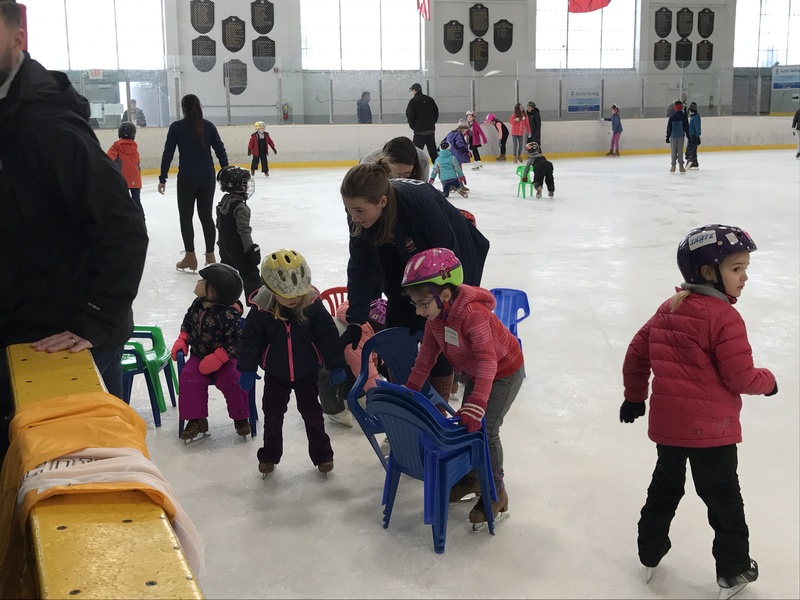 Please join us in congratulating the following Wissahickon Skating Club members for their recent accomplishments! Congratulations to Kylie and Jillian Saloma who both passed Gold Dance tests on June 15th, 2017. 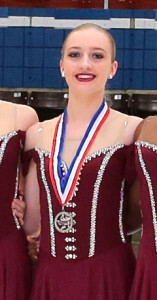 Kylie passed the Senior Free Dance test, the 3rd Gold test she has passed, making her WSC’s first Triple Gold Medalist! 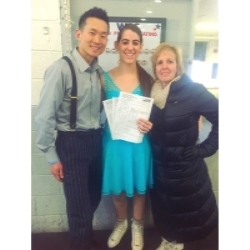 Jillian passed her last Gold dance test earning her the title of US Figure Skating Double Gold Medalist. Congratulations to both on their accomplishments! Congratulations to graduating member Rebecca Shorin, whose team won the Junior World Team Selection event in February which qualified them to represent the USA in March at the ISU World Junior Synchronized Skating Championships in Croatia. In addition, the team also earned the Bronze Medal at Nationals in Kalamazoo in February. 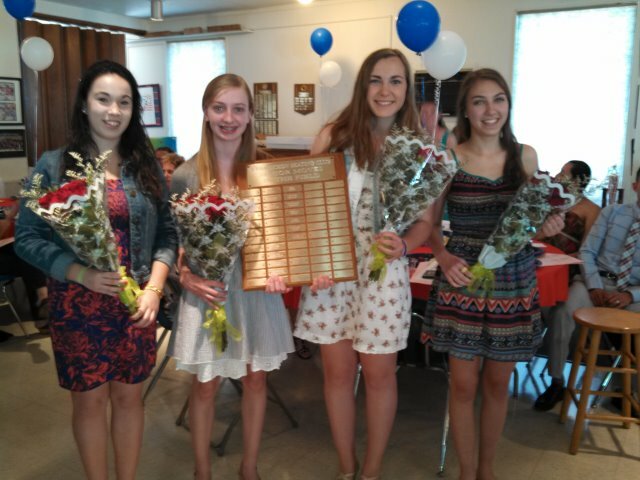 Congratulations to graduating members Alyssa Nowak, Emma Luckman and Grace Leonard on their recent accomplishments at Synchro Nationals. Alyssa’s team competes at the Senior level and won the Silver medal at Nationals. 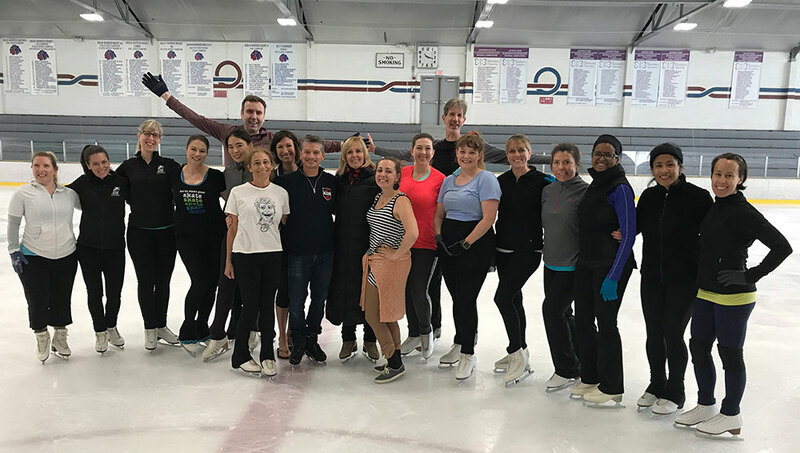 The Senior Team will represent the U.S. at the Synchronized Skating World Championships in Budapest, Hungary in April. 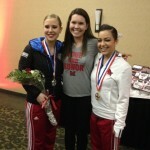 Emma skates in the Junior and Collegiate level and earned a Gold medal for her skate with the Collegiate Team. 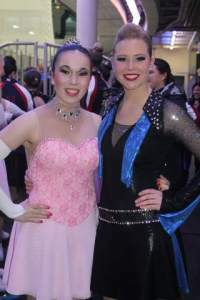 Both Emma and Grace competed in the Junior Division at Nationals and placed 8th in the nation. Congratulations to Kylie Saloma on her Silver Medal in the Junior Division at Nationals. Kylie’s team will represent the USA as Team USA 1 at the ISU World Junior Synchronized Skating Championships in Croatia in March. Congratulations to Jillian Saloma who skates in the Juvenile Division and earned the Gold medal at Nationals. Congratulations to Jr. Figure members Kate Sweeney, Kara Sweeney and Catherine Jevit who all qualified for Nationals and whose teams had beautiful skates. Please join us in congratulating Kylie Saloma, Gabi Godin and Rosie Emerson on earning their second Gold Medal, in ice dance, making them US Figure Skating Double Gold Medalists! Congratulations to Jr. Figure Member and High School Senior, Callie Abramowitz on achieving the distinction of US Figure Skating Double Gold Medalist. This honor makes Callie the first Double Gold Medalist at WSC since WSC’s Coach Meg Byrne! Callie earned this title in April when she passed the last of her Gold Dance tests under the coaching of WSC’s CG Lee. Callie earned her first Gold Medal in 2010 under WSC Coach Kris Shakarjian. Callie has been skating since the age of two and a half. She is a former member of the Philadelphia Symmetry Synchronized Skating team and recently competed in the US Figure Skating National Synchronized Skating Championships in both the Junior and Novice Divisions. Callie will be attending the University of Connecticut in the Fall as a Pre-Pharmacy major. Congratulations to former WSC members Rebecca Shorin and Alyssa Nowak for their great performances at the Mozart Cup in Salzburg, Austria. Rebecca is a freshman at Northeastern University and currently skates on the Lexettes Junior Synchronized Skating team. Alyssa is a Junior at Miami University in Oxford, OH and is a member of the Miami University Senior Varsity Team. The Lexettes will be competing at the World Junior Synchronized Skating Championships in Zagreb, Croatia March 13-15. The Miami University Redhawks will be competing at the US Synchronized Skating National Championships later this month, vying to earn a spot at the World Synchronized Skating Championships, to be held in Hamilton, ON, Canada April 10-11, 2015. We all wish the skaters the best of luck! Congratulations to our 2014 Mite Teams. 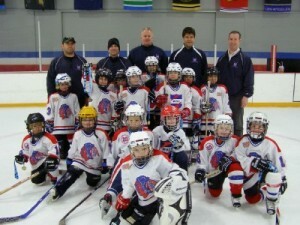 Our Mites all had a fun and successful weekend at the Annual Thanksgiving Mite Tournament held in our Club. 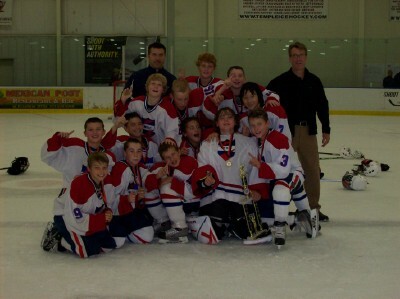 Mite A repeated as Champions! Mite B Blue came away with a Bronze, and Mite B Red won the Gold! Our Cross-Ice team had their first tournament and displayed great sportsmanship. Fun was had by all. Click here for the recap article. The entire WSC Family wishes Junior Figure Skating Member, Gabi Godin the best of luck when she competes in the Juvenile Ladies level at the South Atlantic Regional Championships in Alpharetta, GA the weekend of October 3-5, 2014. Please congratulate member Gracie Dwyer of Wynnewood who received the highlight of her young hockey career playing for Team Pennsylvania at the recent prestigious Brick Invitational Hockey Tournament in Edmonton, Alberta. Click here for the full story. 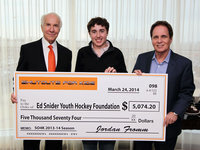 Sixteen-year old Jordan Fromm, a goalie with the Springside Chestnut Hill Academy Varsity Team and a member of the Wissahickon Warriors Midget U16A Team, presents a check to Philadelphia Flyers Chairman Ed Snider and Scott Tharp, President of the Ed Snider Youth Hockey Foundation. 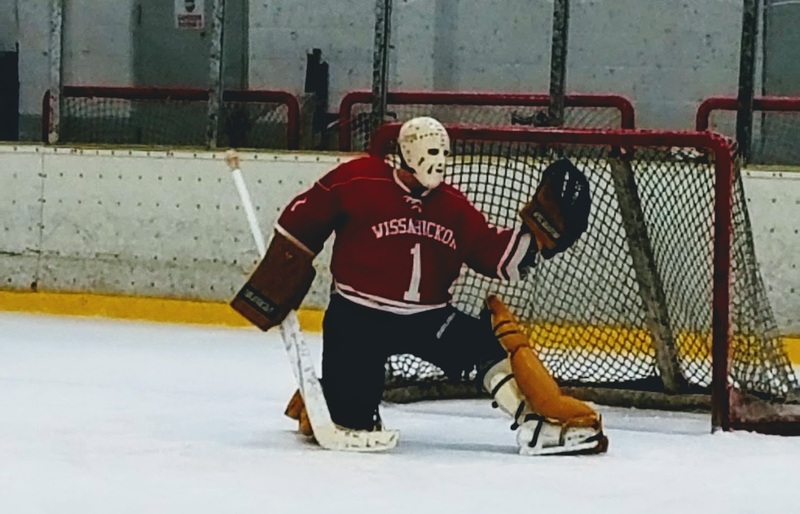 Fromm created Shutouts for Kids as a non-profit organization which he supports through his efforts of keeping the opposition scoreless on the ice. 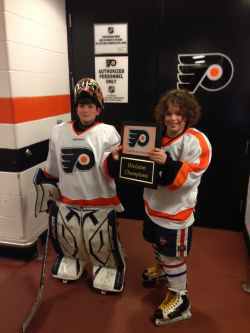 Congratulations to Walker Schwartz and Luca Scaglione, members of our Wissahickon Squirt AA team for winning the Flyers Youth Hockey Shootout on Saturday, March 22nd against the Lehigh Valley Flames. The Shootout took place in between periods of the Flyers-Blues game. Each player was presented with a plaque. Congratulations Walker and Luca for a job well done! Please congratulate Grace Leonard on passing her Senior Moves in the Field test on March 14th. This makes her a US Figure Skating Gold Medalist! 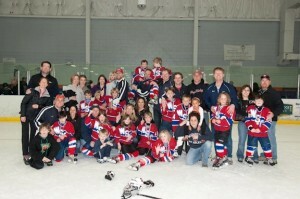 Congratulations to WSC’s Philadelphia Symmetry Juvenile and Novice Teams on their qualification to Nationals. Congratulations to Club Members Emily Shreero, Katie Shreero, Grace Leonard, Emma Luckman, Kylie Saloma and Jillian Saloma on their 4th place finish in the Intermediate Division at Nationals earning them a Pewter Medal! Congratulations to Club Members Callie Abramowitz, Rebecca Shorin, Katie Shreero, Grace Leonard and Emma Luckman on qualifying for Nationals in the Junior Division, to Kylie Saloma and Emily Shreero for qualifying in the Novice Division, and to Jillian Saloma for qualifying in the Juv Division. Please join us in congratulating the following Club Members on winning the Academic Honors Team High School and Middle School awards for 2013. 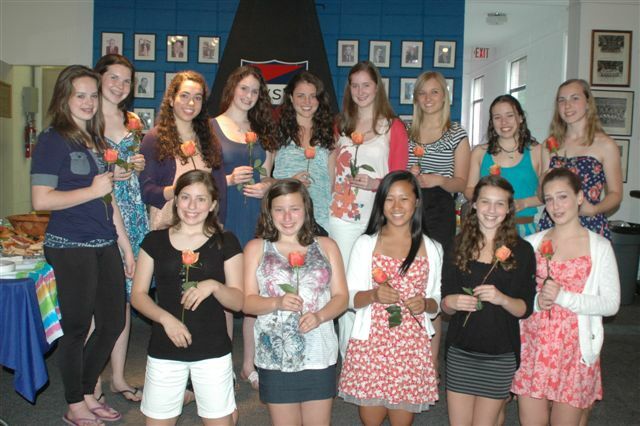 Pictured below are the newest members of this year’s Wissahickon Figure Skating Fund Academic Honors Team announced on June 1, 2013 at the Jr. Figure Skating Banquet. 2013 Jr. 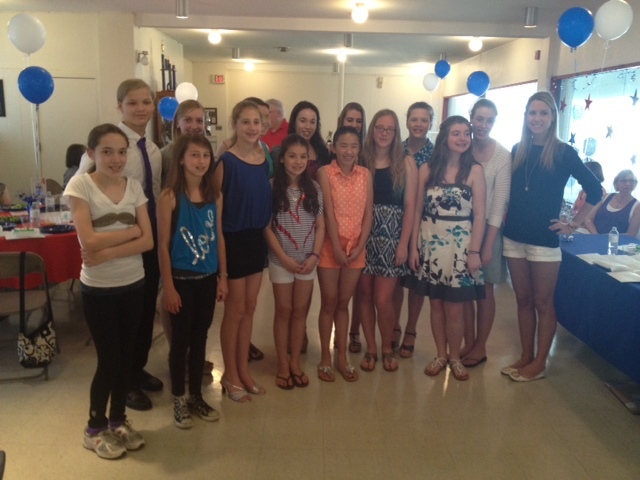 Figure Skating Awards Banquet, June 1, 2013. 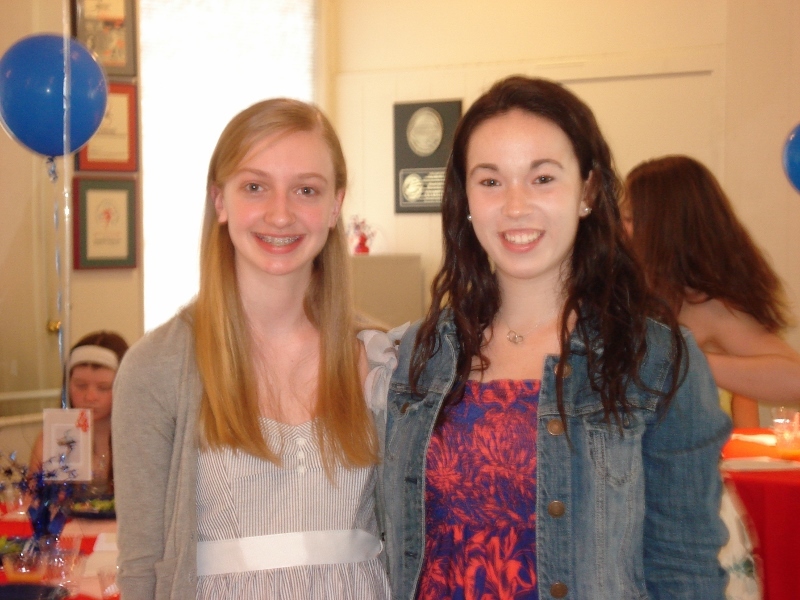 WSC honors the following skaters who passed their Senior Moves in the Field test during the 2012-2013 Club Season. This achievement earns these skaters their first Gold Medal! Please congratulate Callie Abramowitz and Rebecca Shorin on passing their Pre-Gold Kilian Dance with partner and coach CG Lee. The Kilian has been historically noted as one of the harder dances to pass in our building and deserves recognition. In following tradition, they were honored with silver plaques for this accomplishment at our Jr. Figure Awards banquet on June 1, 2013. 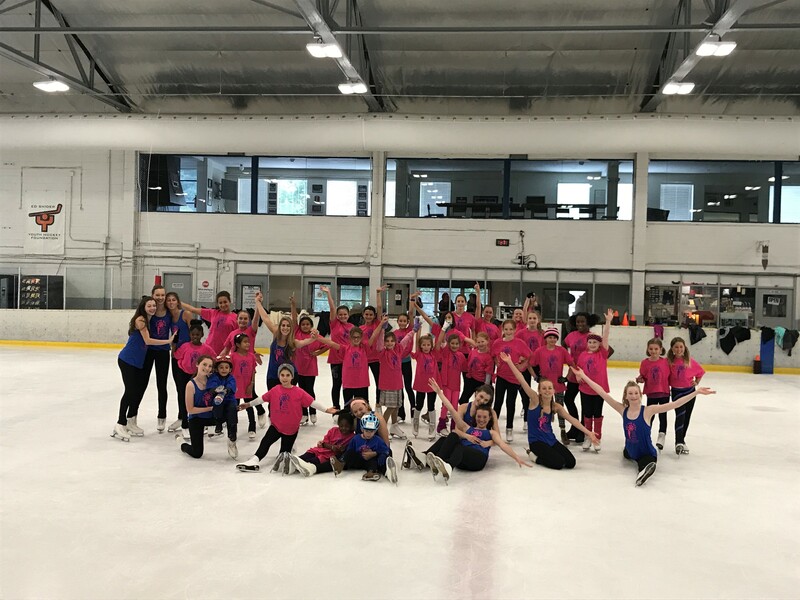 Congratulations to WSC’s Philadelphia Symmetry Juvenile Team for qualifying for Nationals and coming in 12th skating to a Charlie Chaplin inspired theme. Congratulations to Club Members Callie Abramowitz , Abigail Shreero and Rebecca Shorin for placing 9th in the Junior Division. Congratulations to Club Members Callie Abramowitz, Emily Shreero, Katie Shreero, Grace Leonard and Kylie Saloma for placing 5th, just .3 away from bringing back a Pewter medal in the Novice Division skating to the theme “A Disco Party”. Congratulations to Club Members Abigail Shreero, Grace Leonard and Jillian Saloma for placing 9th in the Intermediate Division skating to the theme of “Wicked”. Congratulations to Club Members Alyssa Nowak and Summer Nagy who have both graduated from WSC’s Philadelphia Symmetry and moved on to Junior teams. 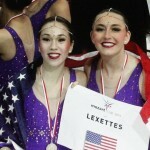 Summer’s team, the Lexettes, earned the Bronze medal this weekend at Nationals. Alyssa skates on the Junior team for Miami University of Ohio, and her team came in 6th. 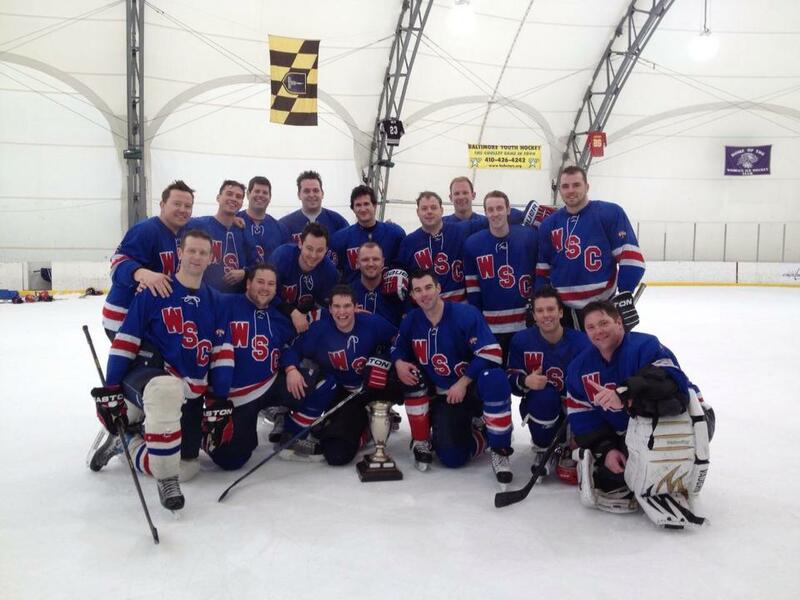 Congratulations to the WSC Senior A team who won the Mid-Atlantic Senior A League Championship on Saturday, Feb. 23 in Baltimore. The A’s beat the host team, Baltimore Cardinals, in round one, 3-1. In the championship game, WSC defeated the #1 seed, Philadelphia Lubers, 4-3 with the game winning goal coming from Ben Stear with just 14 seconds to play! This is the 3rd league championship for the A’s since the league inception in 2006. Congrats again to the A’s from the all the members at WSC. Congratulations to WSC’s Philadelphia Symmetry Juvenile Team for winning the Pewter Medal and qualifying for NATIONALS to be held in Plymouth, MI Feb. 28-Mar. 1, 2013 in Plymouth, Michigan! Congratulations to Club Members Callie Abramowitz , Abigail Shreero and Rebecca Shorin for earning Silver Medals in the Junior Division and qualifying for NATIONALS Feb. 28-Mar. 1, 2013 in Plymouth, Michigan! Congratulations to Club Members Callie Abramowitz, Emily Shreero, Katie Shreero, Grace Leonard and Kylie Saloma for earning Pewter Medals in the Novice Division and qualifying for NATIONALS Feb. 28-Mar. 1, 2013 in Plymouth, Michigan! Congratulations to Club Members Abigail Shreero, Grace Leonard and Jillian Saloma for earning Bronze Medals in the Intermediate Division and qualifying for NATIONALS Feb. 28-Mar. 1, 2013 in Plymouth, Michigan! 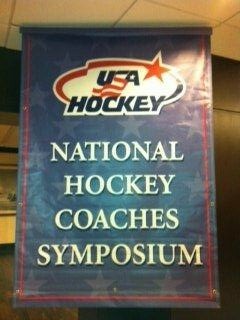 USA Hockey National Hockey Coaches Symposium, August, 2012: The following WSC Junior Hockey Coaches attended the USA Hockey Level 5 National Hockey Coaches Symposium in Washington, DC from August 23-26, 2012. This is the highest level of certification a coach can receive. WSC Mite B team coached by Jim Jacobs, Paul Brady and Thomas Spratt, comes from behind to win Championship with record of 5-0! 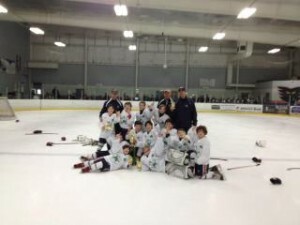 WSC Squirt Patriot team wins Aston St. Patty’s Tournament by defeating the Bronxville NY Blackhawks 12-3 In Finals! The team went 5-0 during the weekend. They are coached by Tom Dwyer, Mason Flinn and Marshall Schwartz. 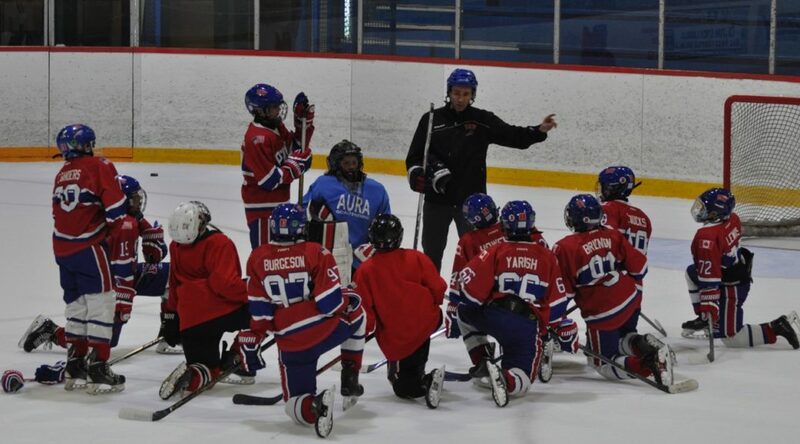 Please congratulate our Mite C team for being one of the elite teams selected to play in this tournament! 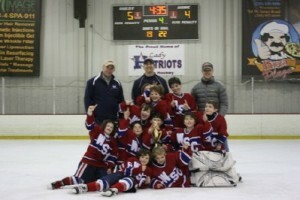 WSC’s Squirt Patriot team defeated BCI Thunder in Finals – 5-4 OT Win! 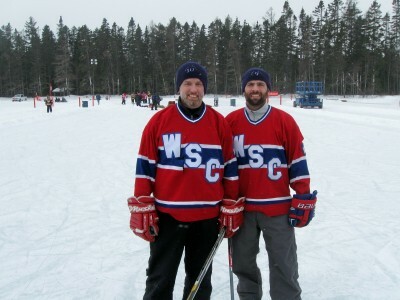 World Pond Hockey Championships in Plaster Rock, New Brunswick – Feb. 10-12, 2012: Senior Hockey A/B players Ross Cowan and Rich Podulka. Cowan and Podulka (Penn State ice hockey alumni and 10+ year members of WSC) played on “Team Kingpin” together. Their squad finished as the 24th ranked team out of 132 posting a 5-1 record. 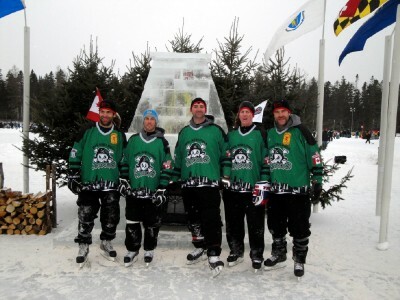 Additional congratulations to Wissahickon members Paul Geib, Mike Budd, and Chris Roak who also competed in the World Pond Hockey Championships. 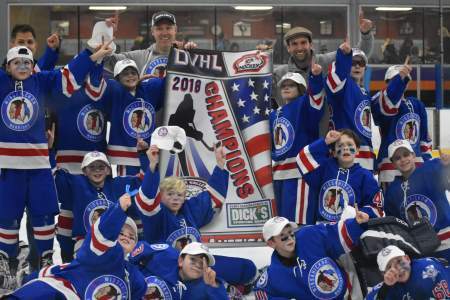 With green jerseys and Philadelphia Warriors as their team name, they made the long trip North across the border to a true hockey paradise and came out ranked 48th. Congratulations to WSC’s Philadelphia Symmetry Juvenile Team for winning the Pewter Medal and qualifying for NATIONALS to be held in Worcester, MA March 1-3, 2012! Congratulations to Club Members Callie Abramowitz and Abigail Shreero for their Bronze Medals qualifying them to compete at the Synchronized Skating National Championships for the Novice Division. Congratulations to Club Members, Emily & Rebecca Shorin for their Bronze Medals qualifying them to compete at the Synchronized Skating National Championships for the Intermediate Division. 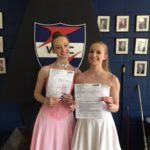 Congratulations to Club Members, Kylie & Jillian Saloma on qualifying to compete at the Synchronized Skating National Championships for the Juvenile Division. Gabriela Godin – 2nd Place in Pre-Preliminary Freeskate – Group B. 2011 Jr. Figure Skating Awards Banquet, June 4, 2011. 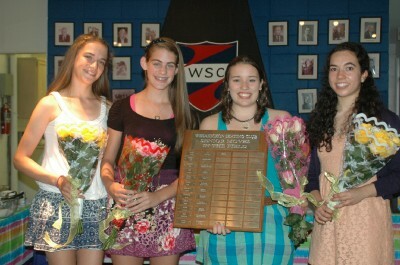 WSC honors skaters who passed their Senior Moves in the Field test during the 2010-2011 Club Season. This achievement earns these skaters their first Gold Medal! 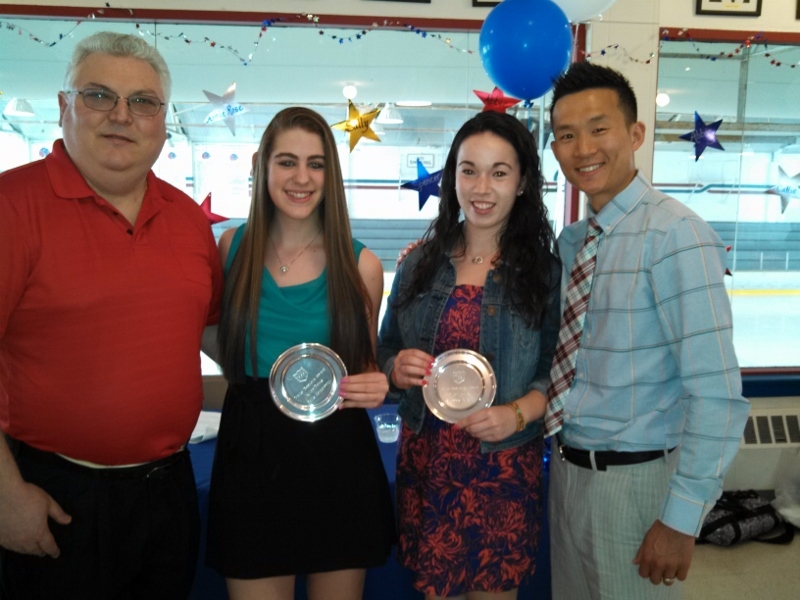 WSC honors skaters who were elected to the Academic Honors Team through the Wissahickon Figure Skating Fund. Callie Abramowitz and Abigail Shreero – 8th place out of 14 teams, Novice division. Kylie and Jillian Saloma – 6th place out of 12 teams, Juvenile division. 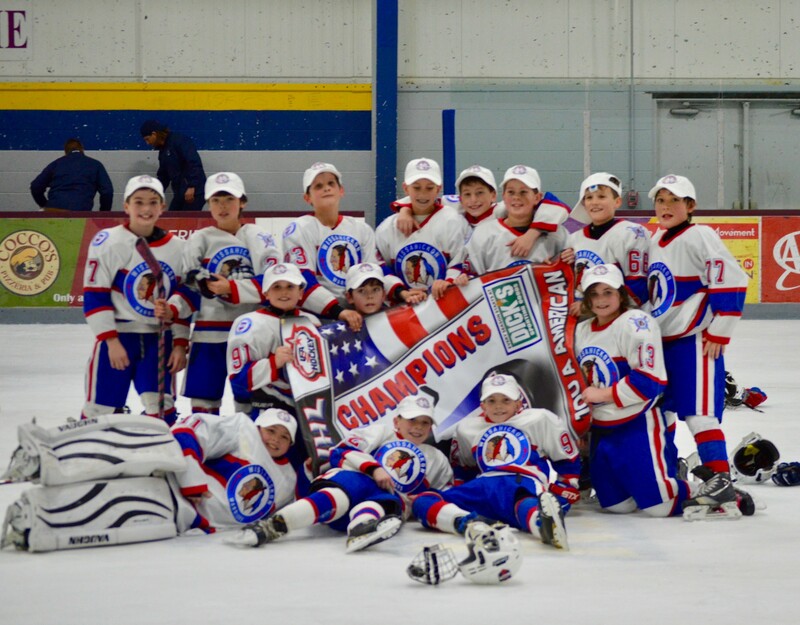 Philadelphia Symmetry Intermediate Team – 11th place out of 12 teams. Team members are: Kelly Armstrong, Kristen Devaney, Jackie Garcia, Marissa Giovinazzo, Natalie Kapp, Miranda Levin, Lee Nagy, Summer Nagy, Alyssa Nowak, Katy Sachs, Cara Stapleton, Hailey Temple, and Marina Tomlinson. Congratulations to WSC’s Philadelphia Symmetry Intermediate Team for winning the Pewter Medal and qualifying for NATIONALS to be held in Ontario, CA March 2-5, 2011! Philadelphia Symmetry competed in one of the largest and toughest divisions beating out 13 other teams. Congratulations to Philadelphia Symmetry’s Preliminary and Open Juv Teams! Competing in groups of 7 at the recent Cape Cod Classic in Bourne, MA over the weekend of December 10th, both teams brought home medals! The Preliminary team earned SILVER MEDALS, and the Open Juvenile team brought home the GOLD! Congratulations to Gerald D. Quill on being awarded the title “Honorary Member”. At its meeting on September 21st, The Wissahickon Skating Club Board of Directors awarded Jerry Quill the title “Honorary Member” in recognition of his many years of service and devotion to Wissahickon Skating Club. Please congratulate Jerry on his award! Congratulations to Wissahickon’s Senior “A” Hockey Team! 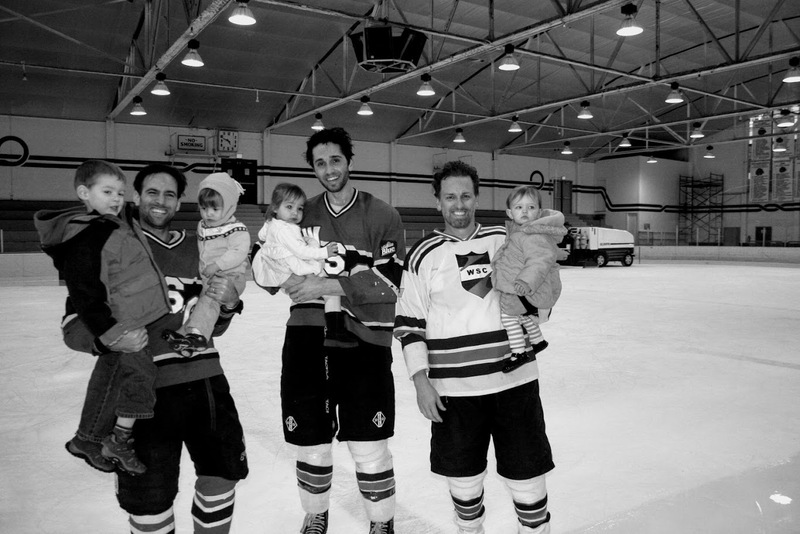 The 2009-2010 campaign for the WSC Senior “A” team was one for the record books! The team, comprised of all former college players from the club and NCAA levels, compiled an overall record of 13-3 while going undefeated in the highly competitive MASAL. This marked the first time in the history of the MASAL that a team has ever gone undefeated. 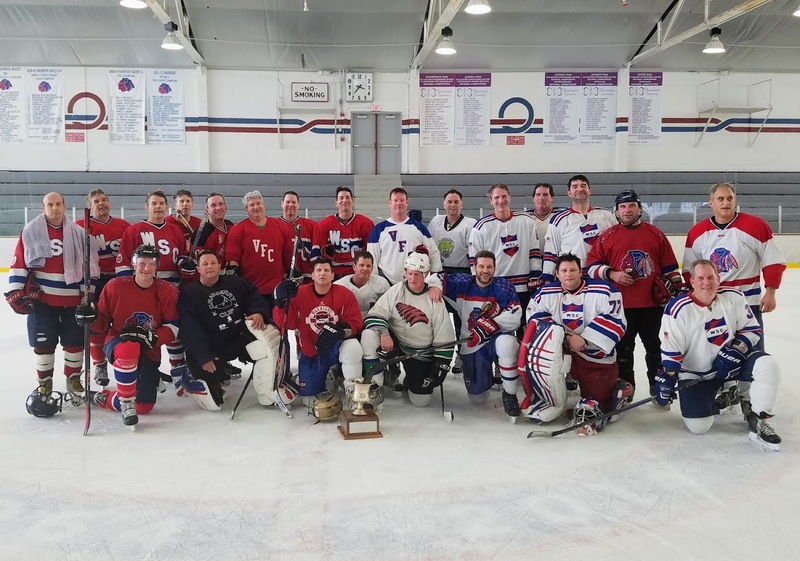 Riding the momentum from the regular season, the Senior “A” team capped the year off by defeating a tenacious Washington D.C. team by a score of 4-2 in the MASAL frozen four championship game in Baltimore. By winning the league title, WSC has secured the right to host the frozen four tournament in March 2011. This promises to be a great event which will showcase some of the best adult league hockey the area has to offer.